We created a strong identity with the logo, which was then implemented throughout all aspects of branding from the website to collateral and interior signage. 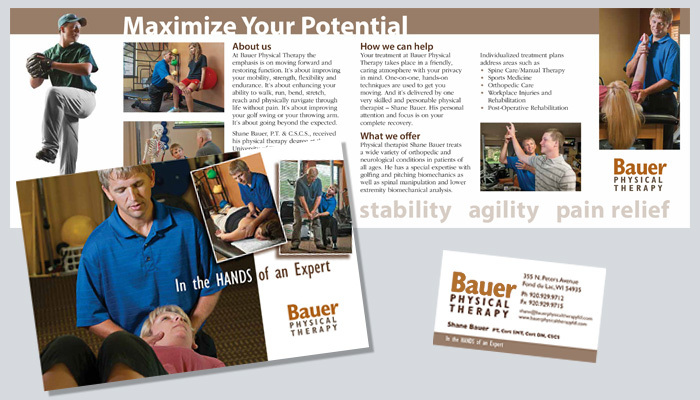 In all of Shane’s marketing materials, we focus on his individual treatment plans and expertise in different modalities. We brought in Mark Avery for the photography to capture the relationship between the practitioner and his patients. As part of the marketing team at Just Fare Market in 2013, we initiated a collaborative effort to highlight the small businesses along the east shore of Lake Winnebago. The following year, the number of participating businesses doubled, and a website and Facebook page were launched. In 2015, Casey French Photography and Hunter Develice Videography developed a promotional video. 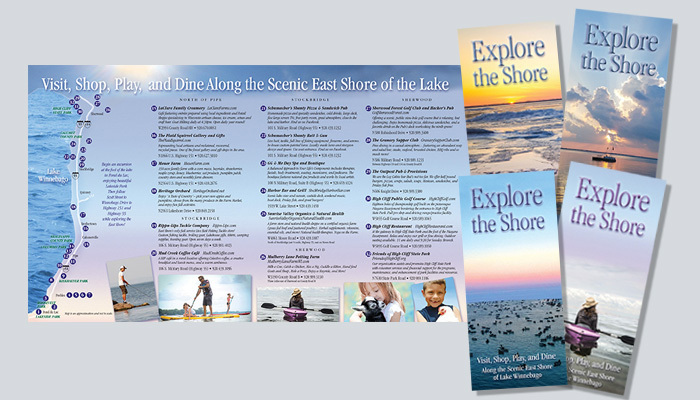 Explore the Shore brochures are distributed in Welcome Centers throughout the state, as well as regional hotels, organizations who support tourism, and the participating businesses along the east shore. The mission of Ignite! 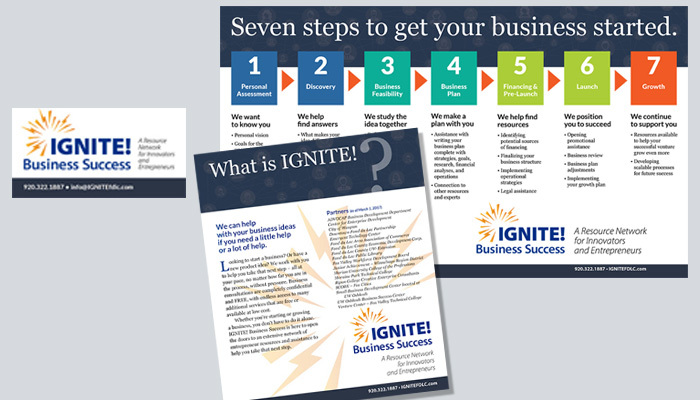 Business Success is to nurture and grow entrepreneurship within Fond du Lac County by delivering support services through an integrated network of organizational partners to help meet every innovator’s need. The brand needed to be strong as well as dynamic. Strength is shown in the choice of font and layout of typography, while the sparks invoke energy and creativity. Tell us about your project and we will be in contact shortly.